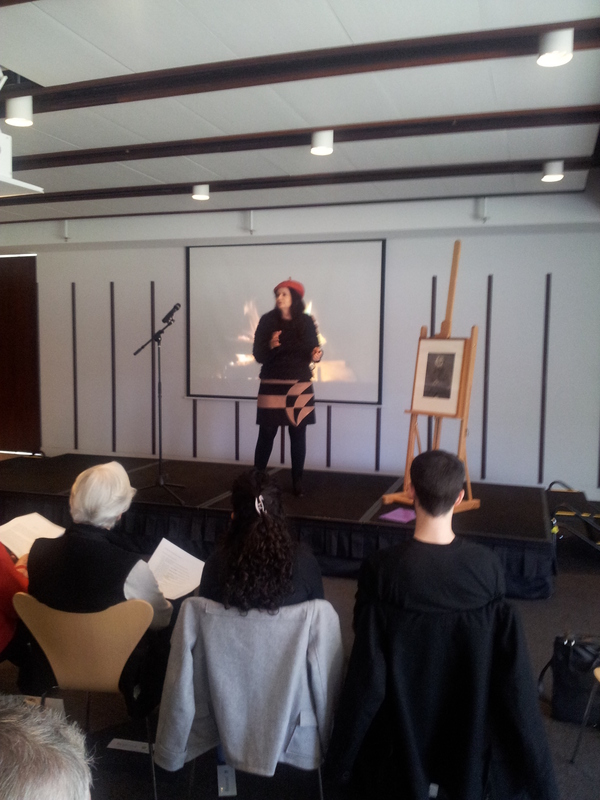 This sculpture, and the perfomance, were part of a wonderful event called the Winter Festival at the Portrait Gallery in Canberra. An ekphrastic competition was held, where we had to respond to a photograph in writing. The writing ranged from non-fiction memoir, to short stories, to poetry. The judge was Paul Hetherington. Thanks to my poem (and the obviously impeccable taste of the judge) I now have a gift voucher for the Portrait Gallery bookstore, as I was highly commended. Recently a novelist of my acquaintance, Kaaron Warren, detailed her haul of booty from winning a voucher for the best fiction book published in the ACT. She bought books. I may well buy an item of personal adornment. A new beret or something, as one can never have enough headgear. 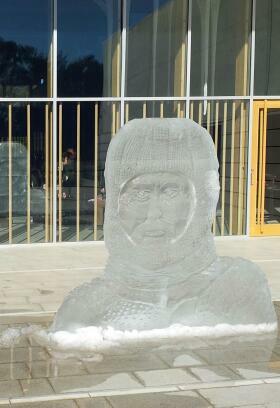 Ask Douglas Mawson. UPDATE: Michelle Brock was the poet awarded first place. Thanks to Kathy Kituai for jogging my memory. 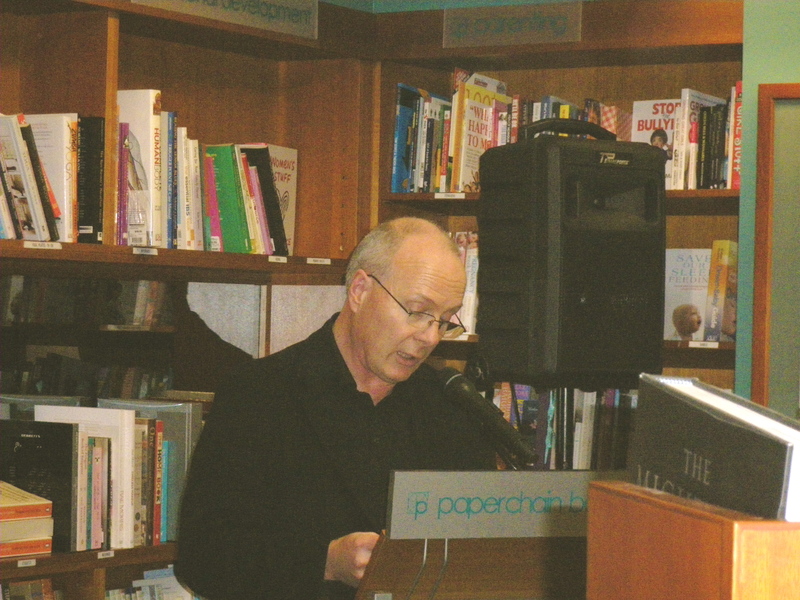 Last night Paul Hetherington launched Triptych Poets Issue Three, and a good time was had by all. I enjoyed Paul’s comments, although I became quite alarmed as he emphasised the way I use ideas in my poetry. I had had one or two drinks and could feel the few remaining ideas in my brain rapidly taking leave through my ears, their little wings stroking the lobes as they took off. It’s the sort of situation where you just nod and smile. Fortunately I read first, before the last idea fairy had flown to a more fertile and curly cortex, throwing a look of disgust over her fickle shoulder. 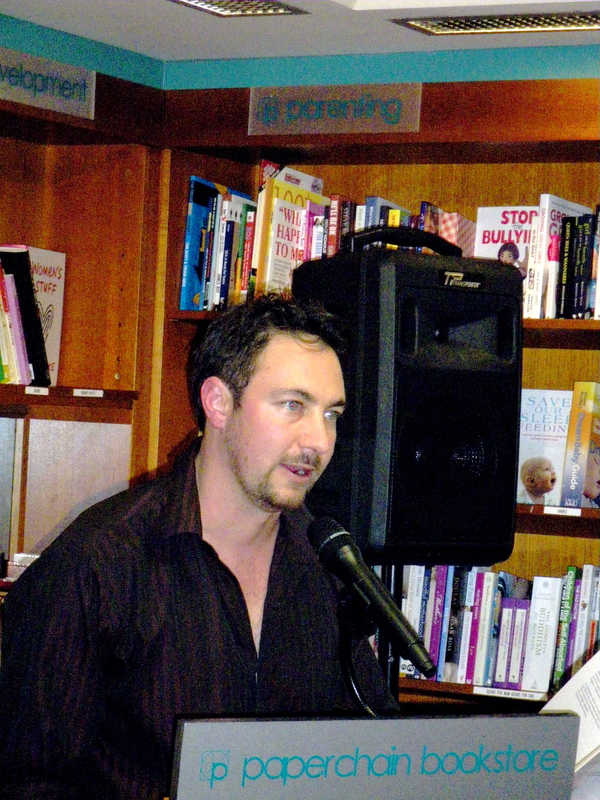 J.C. Inman (Josh) gave an energetic and charismatic reading. The launch was quite interesting in that it brought together people with their roots in the slam poetry scene, and those whose emphasis has always been on the written word. 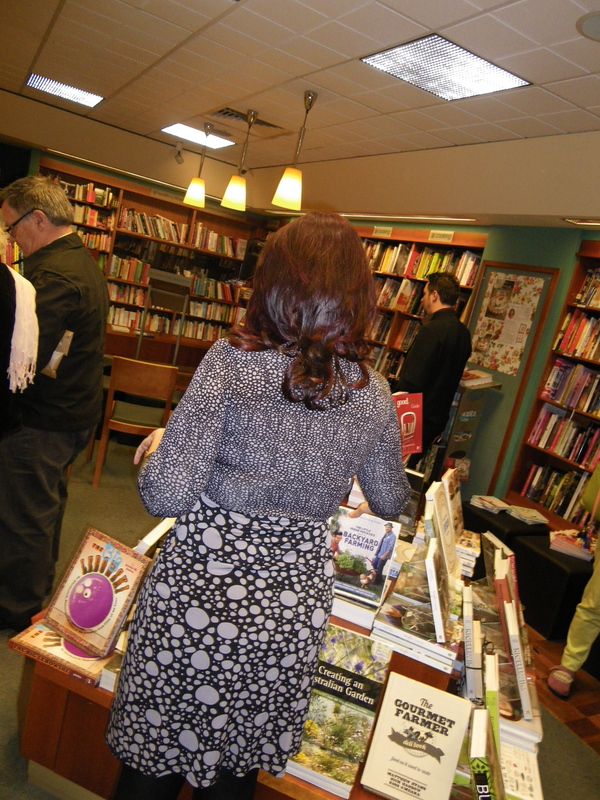 There were lots of people and I think we sold a few books too. Thank you to Paul Hetherington. I would love to read what he wrote, as I am always too edgy at launches to take everything in. 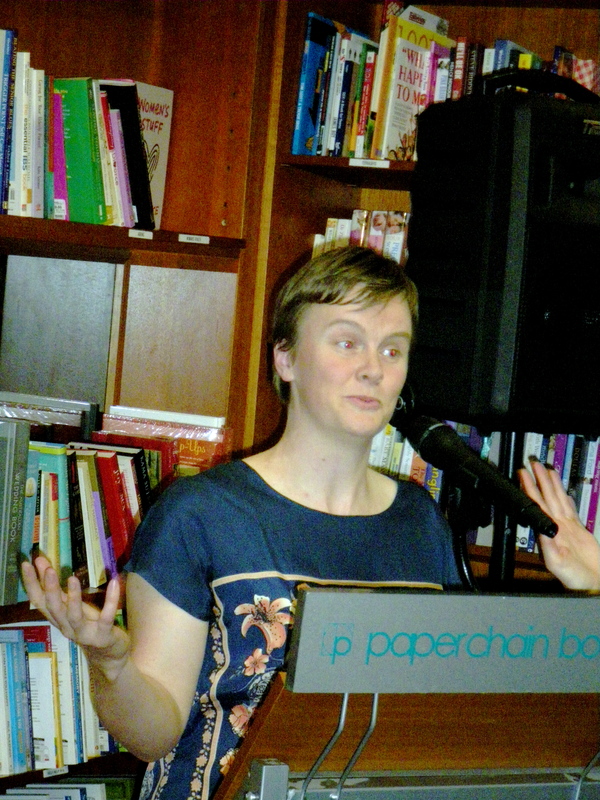 Thanks also to Paperchain Books, and all the people who came. 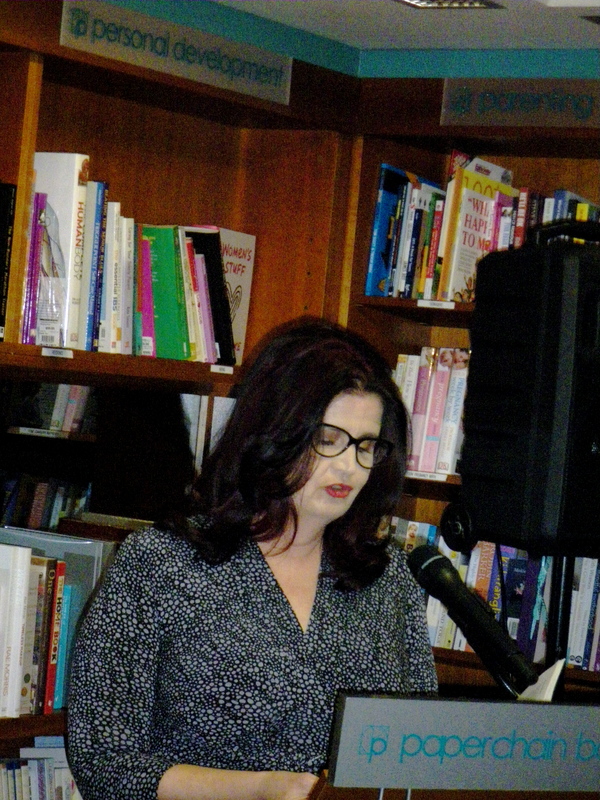 Here is the MC for the evening, Lesley Boland from Blemish Books. I bought myself a Where’s Wally? lunchbox as a souvenir. See, I really am an intellectual… I also have an idea for my next book’s title. A lady said that I was quite well-dressed, for a poet. Well Dressed for a Poet could be a goer. What do you think of that for a title? If you would like to partake of the book, please head here, and Blemish Books will assist you in your noble endeavour. Here’s the cover of my, or rather, our new book. 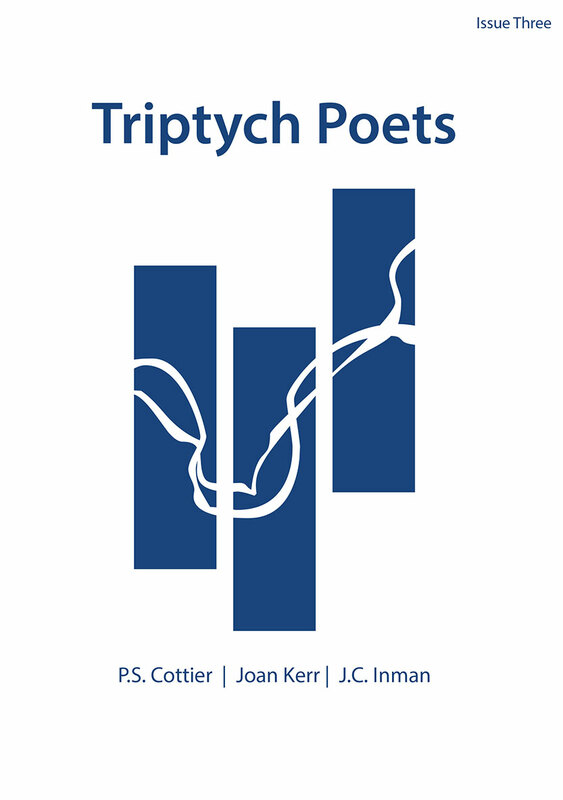 Joan Kerr and J.C. Inman and myself each have a suite of poems in Triptych Poets Issue Three, published by Blemish Books. 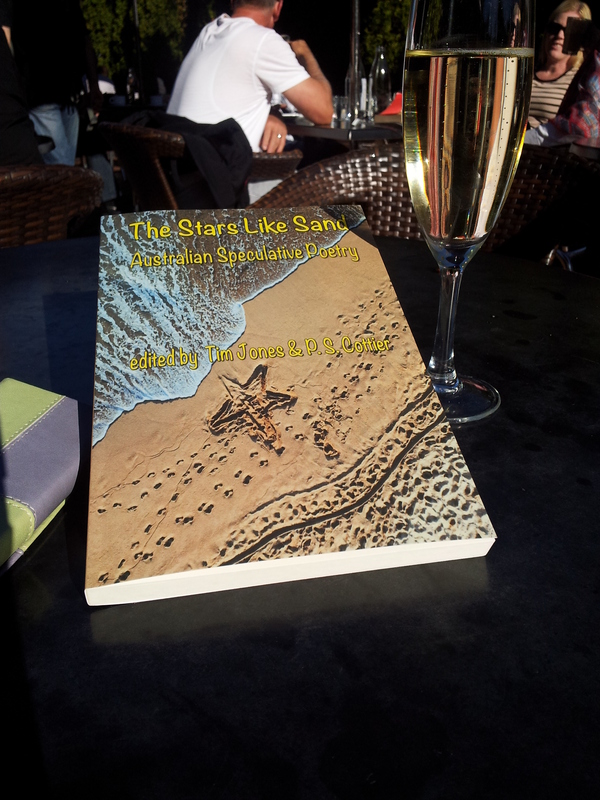 The launch will be held at Paperchain Books in Manuka on 20th September at 6pm. Refreshments! Readings! Two out of three of the poets! Unfortunately Joan Kerr will not be there. I do hope I get to meet her some time. Dr Paul Hetherington will be doing the honours. Do get along if you’re in Canberra. Josh (aka J.C.) reads well, and I’m not totally shabby either, so it should be fun. I’ll post details of where you can order the book soon.